Rejecting the charges levelled by Prime Minister Narendra Modi on opposition parties over demonetisation drive, the Bahujan Samaj Party (BSP) on, 19 December, said the former is trying to mislead people, who will not forgive him for this. "If he says the demonetisation will help to arrest black money holders, then first he must answer as to why till now not even one accused has been arrested. Prime Minister's remark is beyond reality. 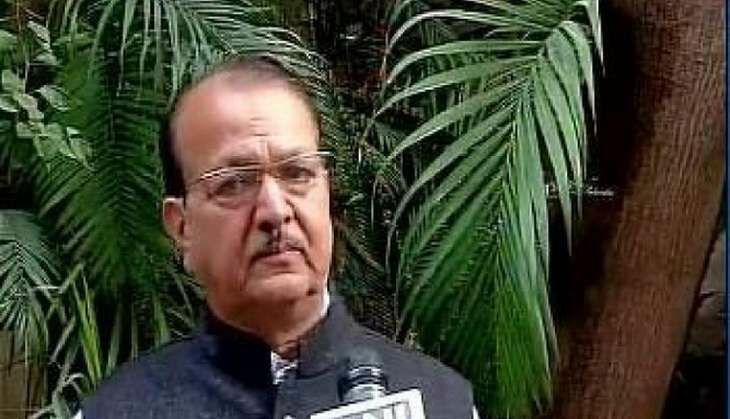 He is trying to mislead people by his statement and people will not forgive him for this," BSP leader Sudhindra Bhadoria told ANI. Echoing similar sentiments, Samajwadi Party leader Shahid Siddiqui said the Prime Minister should get his facts correct before making such statements. "The entire nation is against black money, but the Prime Minister is not telling the exact truth to the people. It is the people who are suffering the most, despite of having money they are not able to withdraw their cash, this is a very shameful situation," said Siddiqui. Prime Minister Modi earlier on Monday criticised the opposition for disruptions in Parliament, maintaining that the government only wanted to scrap black money, whereas the opposition wanted to shut Parliament. Addressing a Parivartan rally in Kanpur, Uttar Pradesh, Prime Minister Modi said, "It has happened for the first time that some people raised slogans in parliament to help dishonest people. The agenda of the government was to scrap black money, but the opposition wanted to shut parliament. The government wanted to debate, but the opposition ran away; they were scared." He further said the nation is divided in two parts, on one side there are political leaders who are working to protect black money, corruption and dishonesty, and on the other side, is the nation which is ready to do anything to walk the path of honesty. Talking about donations to political parties, PM Modi said, much time is wasted and no development activities take place because the nation almost always is in election mode. Taking potshots at the Congress party, the Prime Minister said, "People used to say that Rajiv Gandhi has given computers, and today when I say to make mobile phones your bank, they say where is the phone?" "One side they (the opposition) say that the poor people don't have bank accounts, and on the other side, they say poor people are not given money when they go to the banks. Don't mislead the people," PM Modi said. "Before demonetisation, there was 1,000 rupee note, nobody cared for Rs. 500 and Rs. 100 notes, and now, the value of Rs. 100 is seen post the November 8 directive," he added.